Paperback, 9.25 x 11 in. / 272 pgs / 475 color. Text by Marcel Smets, Kelly Shannon. 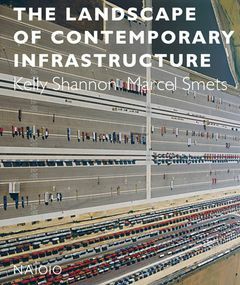 Since its initial publication in 2010, The Landscape of Contemporary Infrastructure has become a standard reference for designers; this new edition brings the indispensable volume back into print. The design of infrastructural networks--the systems that enable flow within a structure such as a city, like roads and railways--is among urban design’s foremost tasks. Around the globe, the awareness of enhanced infrastructure fluidity as a catalyst for economic development is rising. The Landscape of Contemporary Infrastructure investigates how infrastructure design determines the organization and flow of the inhabited landscape--as an agency of enhanced mobility, as a physical presence, as a design feature contributing to the character of a city and as a sound theoretical approach to a positive experience of collective space. 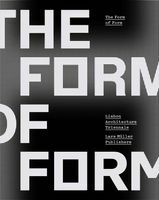 In this volume, these four issues are explored in four chapters that catalogue these approaches, and each chapter is buttressed with key projects from around the world by designers such as Norman Foster, Zaha Hadid, OMA, Arata Isozaki, Paul Andreu, Xaveer De Geyter, Jean Nouvel and Ricardo Bofill. The authors demonstrate how the creative potential of architecture, landscape architecture and urban design is essential to the effective flow of infrastructural networks. FORMAT: Pbk, 9.25 x 11 in. / 272 pgs / 475 color.